I recently got the chance to expand my kindle library, and I thought I’d experiment a little with titles I’d heard of, but didn’t really know that much about. Specifically, I went with the “first” novels (according to Wikipedia) in several series. Thus, I came to own, and have on my reading list at last, the first of Mercedes Lackey’s Elemental Masters series: The Fire Rose. 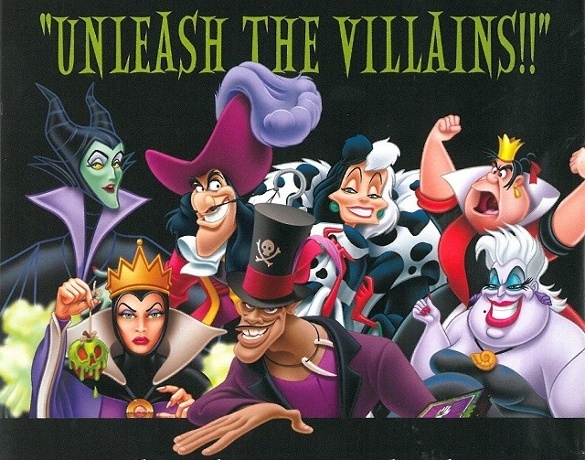 Each novel in this series is a retelling of one (or more) of the classic fairy tales. 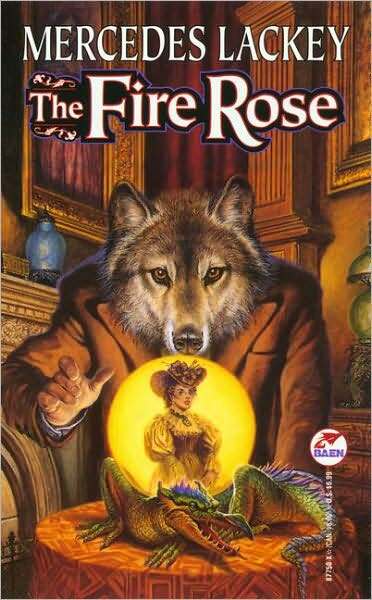 I’d not remembered which one was the source for Fire Rose, but it quickly became clear as Beauty and the Beast. I say “quickly” and “clear” in the best possible way, as Lackey did not spoil it too soon, but neither did she leave it ambiguously in the realm of the theoretical. The plot of the story, skating around spoilers, follows the plights of Jason Cameron, a “rail baron” who commands the elemental magic of fire, Rosalind “Rose” Hawkins, a scholarly girl with a substantial knowledge of foreign and ancient languages. Rose has come on terribly hard times, having lived a most comfortable life, and now finding it all ripped away overnight, due to no fault of her own. Jason, on the other hand, has become a victim of his own pride, as he delved into a certain magic he should not have, and managed to change himself into a man with the head, tail, and paws (and claws) of a werewolf. He is unable to research a cure for his condition himself, so he hires Rose to read his books to him. From the start, there is a connection between these two souls, and it’s clear to the audience that they are kindred souls. For one thing, they are both intelligent and witty, and their relationship, from the beginning, is built upon mutual respect, which deepens and grows. For another, both of them are absolutely certain no one could ever find them attractive, or love them, as they are. Granted, in Jason’s case, there’s the whole “face of a beast” thing, while it’s more a self-esteem thing for Rose, but it’s an intriguing parallel. One which makes both of them believe their love for the other – as they both realize they are in love with the other at nearly the same moment, in further synchronicity of their souls – is unrequited. They only really realize how the other feels when a literal disaster, namely the infamous San Francisco earthquake, strikes, in near unison with their enemies, and the each of them go above and beyond for the sake of the other. Speaking of “enemies,” there are, in direct contrast to these two protagonists, two antagonists, both of whom are selfish, petty, and cruel beyond words. Jason’s rival and enemy, Simon Beltaire, and Jason’s traitorous assistant and apprentice, Paul du Mond, are savage monsters, beasts far worse than Jason could ever fear to be, no matter their charming appearance. They think nothing of using others, often in unspeakable ways, and then casting them aside like garbage. In fact, the theme of appearances versus reality runs throughout the novel, commented on in several places by the characters themselves. It speaks very much to how it is the quality of a man’s soul, not his appearance, which is important. That runs through straight to the end, which, if I’m not going to spoil it, I shall have to not mention exactly how it does that. Suffice to say, Lackey pulled this one off pretty well. Intertwined with this theme is one of what makes a true companion, a true friend and colleague. I think I can avoid spoiling the plot when I mention that the “elemental masters” are able to work with the elements by summoning “familiar” creatures, like salamanders and sylphs and such. However, they are able either coerce that familiar, and its element, into serving them, which is quick and easy, or they can persuade them, befriend them, which takes more time, effort, and discipline, but can yield substantially greater rewards in the long run. I’m sure you can guess which characters subscribe to which school of thought, and it holds true across all of their choices and relationships. I rather liked that particular distinction between the two sides of the story’s conflict. It even speaks to the genuine nature of Rose and Jason’s love for each other, and the falseness of Beltaire’s association with du Mond. In short: The Fire Rose is a good, enjoyable period piece romance novel, and I very much recommend it! Rating: a solid 9 stars out of 10. This entry was posted in Books, Tuesday Review and tagged Elemental Masters, Elemental Masters series, Jason Cameron, Mercedes Lackey, The Fire Rose. Bookmark the permalink.